Mini miniature, salesmans sample or handpotted? 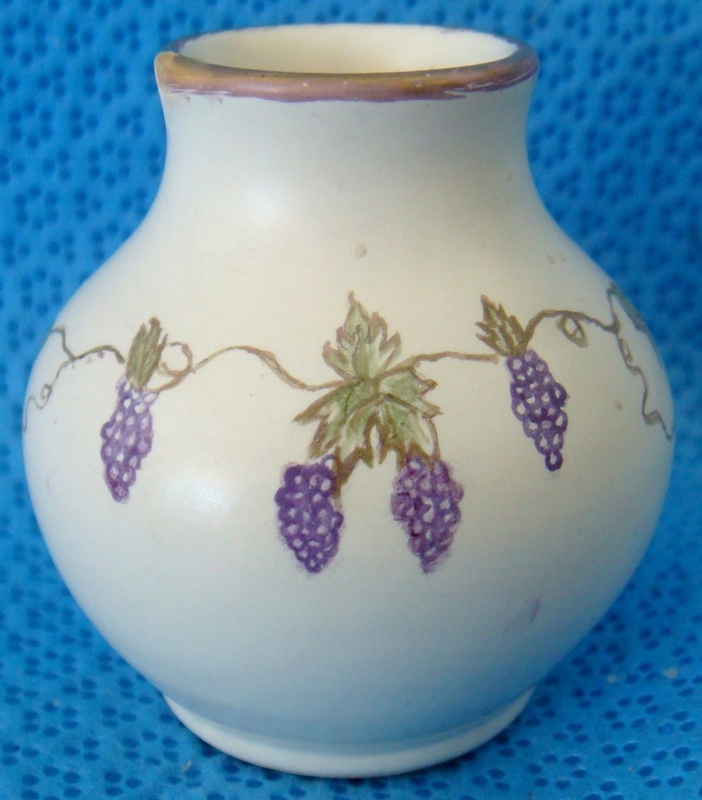 Is this the smallest Crown Lynn vase of all? This is sooooo tiny! 42mm or 2 3/4" high, it's more like a thimble! I wonder where this would fit in? 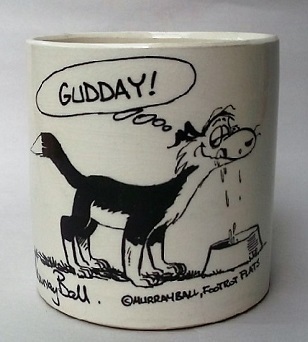 Not sure the hand painting is original however, as it was handpainted bye - or is it by E Powell maybe? Re: Mini miniature, salesmans sample or handpotted? Is this the smallest Crown Lynn vase of all? I don't have measurements, only the description, Small Vase, though I'm sure that I saw them in the Modellers Log Book when they were first being modelled and I will check that out. 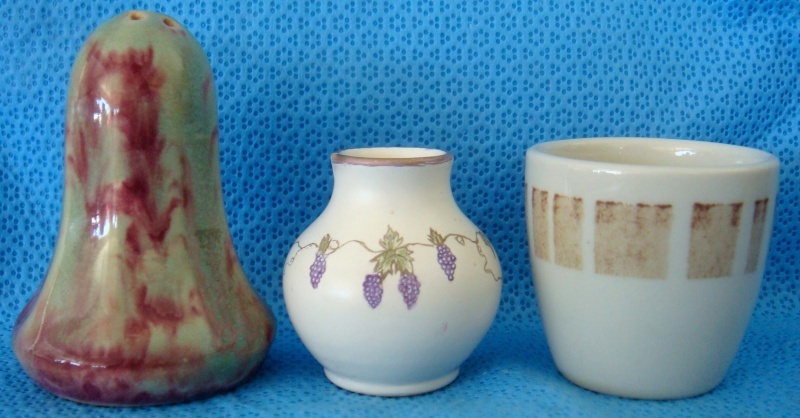 There are a couple of references to other tiny vases on this site. I know Jonno has one, but of course I can't find it at present! This is a link to a discussion. 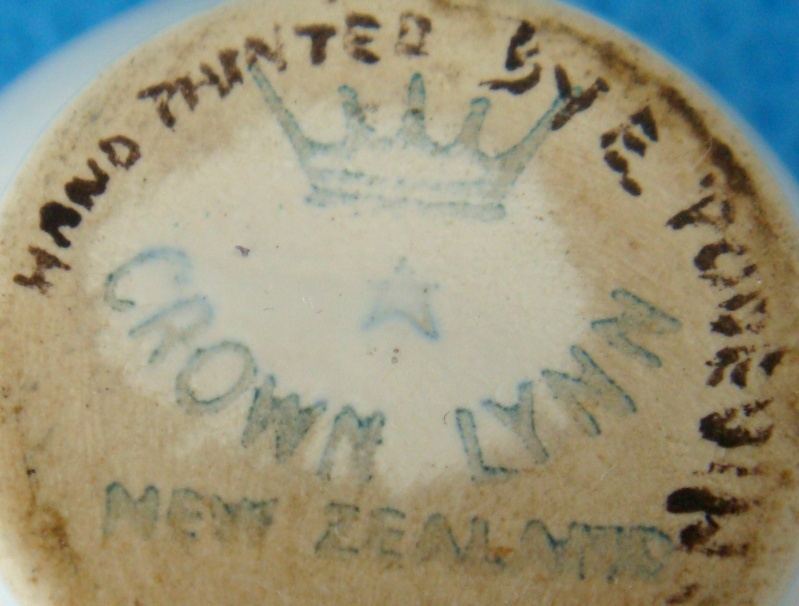 The post from Jonno is here http://www.newzealandpottery.net/t1706-tiny-crown-lynn-vase?highlight=tiny - 45mm high. I wonder how high the other one was? Judging by the lighter I think about 50mm. All three are different shapes. I assume these were slipcast? No measurements, but the 2027, 2028 and the 2029 were modelled on 23rd and 24th Sept 1964. They are referred to as Miniature Vases when they were finished blocking on Sept 29. I reckon that Hand Potted or Hand Crafted stamps would indicate that they were made on a wheel by hand.